Initiative for the Prevention of Malaria (IPM), an NGO, in conjunction with the Federal Government and other relevant stakeholders in the health sector has embarked on environmental management and malaria prevention sensitisation. Mrs Nnenna Didigu, the National Coordinator of the NGO, said this at the community outreach in Durumi community in the FCT on Wednesday. 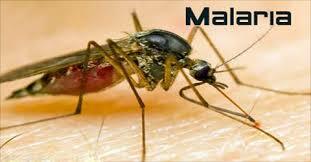 He said the sensitisation was part of the activities in the lead-up to the World Malaria Day, slated for April, 25. The News Agency of Nigeria (NAN) reports that World Malaria Day is aimed at highlighting the need for continued investment and sustained political commitment for malaria prevention and control. The theme of the 2018 World Malarial Day entitled, ‘’Ready to Beat Malaria’’. Didigu said that the sensitisation was also to support the National Malaria Elimination Programme of the government in collaboration Breakthrough Action and other relevant NGOs. She said that her organisation took environmental management advocacy to Durumi community to make residents understand that environmental sanitation and dirt-free surroundings had the potential to prevent malaria and other diseases. ‘’In view of this, IPM distributes waste disposal plastic drums and cleaning equipment to the people including Internally Displaced Persons (IDPs) in Durumi community,’’ she said. The national coordinator said that the NGO would also distribute waste disposal drums to Utako Community, to support the efforts to provide safe and healthy environment. The Deputy Project Director, Breakthrough Action, Dr Bolatito Aiyenigba, said her organisation sensitised residents of Durumi community on the importance of malaria prevention. Aiyenigba, who advocated rapid malaria diagnosis, urged residents to undergo the blood test before treating malaria and avoid consumption of the anti-malaria drugs, a development he said remained high in Nigeria. She urged pregnant women to go to ante-natal and take their monthly medicine to prevent malaria during pregnancy. According to her, treated mosquito nets are also imperative to malaria prevention. The Chief of Azhata, Durumi community, Abuja, Chief Danladi Bawa, commended the Federal Government and the NGOs for educating his community on environmental sanitation and malaria prevention.